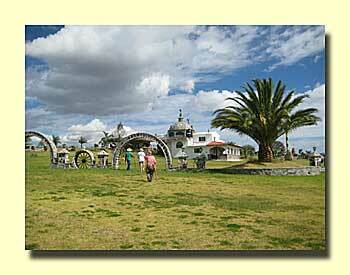 One of the newest campgrounds in Mexico is Hacienda Contreras near Mazamitla. This is such a comfortable place to spend time that it is becoming very popular. Fortunately there's plenty of room to expand! 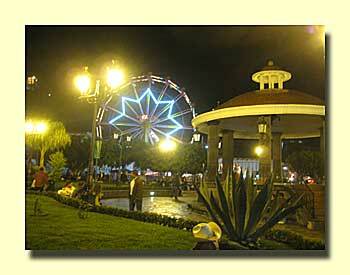 The town of Mazamitla is one of Mexico's Pueblos Magicos. Click here for more about the town. There are also some pictures on this blog from a prior visit, see here. 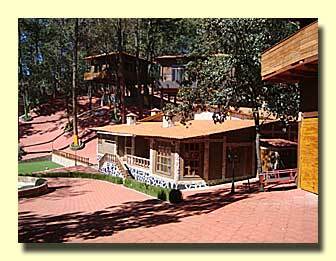 Hacienda Contreras is unique among Mexican campgrounds. 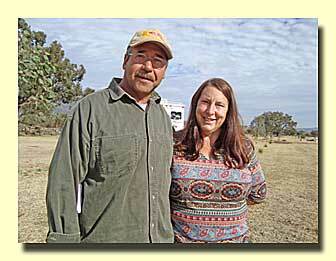 The owners, San and Barb Contreras are RVers themselves. 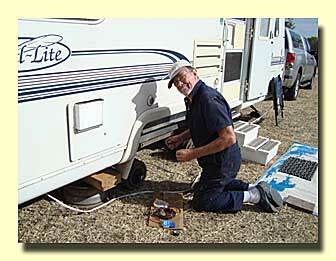 They know what a campground should offer and they do the best to make theirs an attractive place to spend time. They manage it themselves and aren't afraid to get their hands dirty. Sal grew up in the area and seems to be related to or know almost everyone in town. 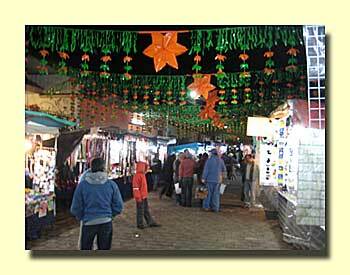 Barbara says that they started their campground because they wanted to show Mexico to others from north of the border. There's no doubt that that's true, there are few days that go by without an expedition out to do something guided by Sal and Barb. We spent a week here, including three days of unseaonably rainy weather when we were unable to enjoy any trips away from the park. Trips to some hot springs and another fiesta had to be scrapped. Even so, Barb and Sal were able to get almost everyone in the park out for the following excursions. Near the campground is a huge castle-like estate. 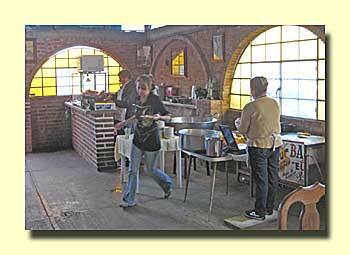 Over many years the owner has been working on the place, his ulitmate goal is to turn it into a restaurant. Sal led a hike from the campground for a look. Quitupan is a small town about 20 miles from the campground. 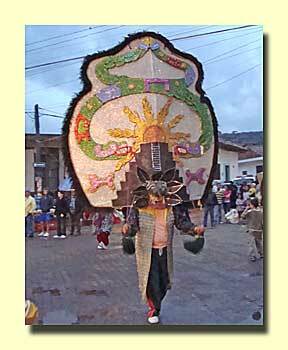 One evening we went over to enjoy the local fiesta. Who would pass up a brunch like that! It was even better than it sounds! 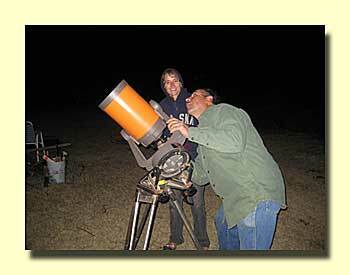 The campground hosts frequent campfires, and Sal seems to know every constellation. 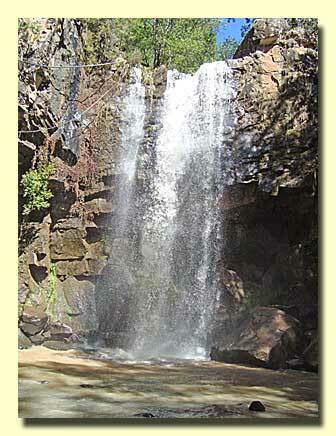 One of Mazamitlas most popular attractions is waterfall called Los Cazos. 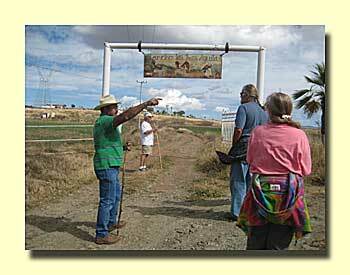 The hiking route leads along a road lined with homes owned by folks from Guadalajara. While we were in the campground we had a famous visitor, William Gibbon. Wandering Willy is known for his blog. 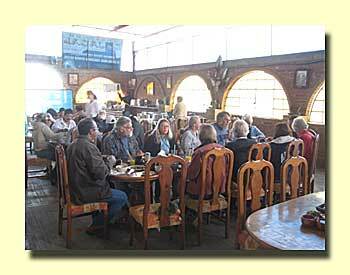 He was having some mechanical troubles and figured Hacienda Contreras was the best place to solve them.